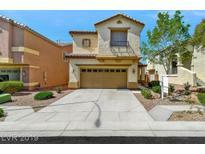 Below you can view all the homes for sale in the Sierra Ranch Village subdivision located in North Las Vegas Nevada. Listings in Sierra Ranch Village are updated daily from data we receive from the Las Vegas multiple listing service. To learn more about any of these homes or to receive custom notifications when a new property is listed for sale in Sierra Ranch Village, give us a call at 702-323-5963. Convenient to freeways, schools, shopping, restaurants, and more! MLS#2089038. King Realty Group. This beautiful 3 bedroom 3 bath home offers 3 story living with a unique open floor plan including a bonus room for office space on one of the largest lots in the area, granite counters, breakfast counter, large master bedroom on 3rd floor which offers a pool view and some city nights lights also it offers a beautiful outdoor pool and patio for entertaining.. A MUST SEE!!! ! MLS#2088753. DeVille Realty Group. Great Opportunity To Own Your Own Home MLS#2088396. BHHS Nevada Properties. Parks & common area maintenance are part of the HOA.Washer, Dryer also included. MLS#2083408. HomeSmart Encore. Beautiful Large granite island with storage, Master bedroom has twin mirrored closets leading into the master bath with separate soaking tub & stand up shower. MLS#2084405. Prado Realty Group LLC. HOA maintains front yard landscape & 4 parks MLS#2083256. SellPro Realty. Upgraded features include new HVAC, carpeting and fresh interior paint. MLS#2082932. Opendoor Brokerage LLC. Backyard playset & pergola stay! A true 10+ MLS#2082399. iProperties International. Move in ready and won't last! 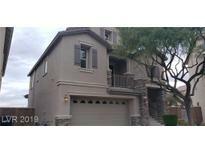 !` MLS#2080976. Keller Williams Southern Nevada. HOA incl: 4 private parks w/dog paths, exercise stops, green grass, Bball court +more. Shops/restaurants/grocery/215. MLS#2079011. Crown Point Realty, LLC. Low maintenance back yard with stamped concrete, shed and pomegranate tree. MLS#2078822. Signature Real Estate Group. Cherrywood Cabinetry/Den/Bonus Loft Area/Corian Countertops /Plantation Shutters/Hunter Glen Fans & Lighting Throughout/Dual Glass Fireplace/Separate Formal Living/Dining Room Areas/Breakfast Countertops/Walk In Pantry/Curb Appeal/Pool Size Backyard MLS#2079146. United Realty Group. Nw Las Vegas Desirable 2 Story Floor Plan*over 2,300 Sq Ft*4 Bed*3 Ba*2 Car Garage*kitchen Great For Entertaining*open Family Room*granite Counter Tops*upgraded Cabinetry*huge Master Suite Upstairs W/Spa Like Bath*2nd Be Upstairs*larger 3rd & 4th Bedroom Downstairs*pre-wired For Ceiling Fans*window Coverings*close To Freeway Access,Shopping, Dining & More* MLS#2073621. Keller Williams Market Place. Master bedroom with oversize balcony with Park view. MLS#2062757. Source Realty. Just stop by and see it for yourself Today! MLS#2059386. Realty ONE Group, Inc.
Beautiful 2 Story Home ~ Kitchen Has Upgraded Cabinets, Granite Counters, Stainless Steel Appliances And An Island ~ Gorgeous Flooring Throughout~ Huge Master Bedroom ~ Fantastic Loft To Do What Your Heart Desires ~ Laundry Room Upstairs ~ 3 Car Garage ~ Blank Canvas In The Backyard For All Your Creativity ~ You Won'T Want To Miss Out On This One ~ MLS#2041844. Vegas One Realty. Home On Video Surveillance & Neighbor Watching Home MLS#2025956. Milestone Realty. Freshly painted and ready for you to move in! Bring All Offers MLS#2022721. Executive Realty Services.